Welcome back to the blog! Today I am going to be sharing with you my opinion on the Shea Moisture Superfruit Complex Line that I received in my September Curlbox! If you want to check out that unboxing video the click here. I was super excited to try out his line, and trust me it did NOT disappoint! 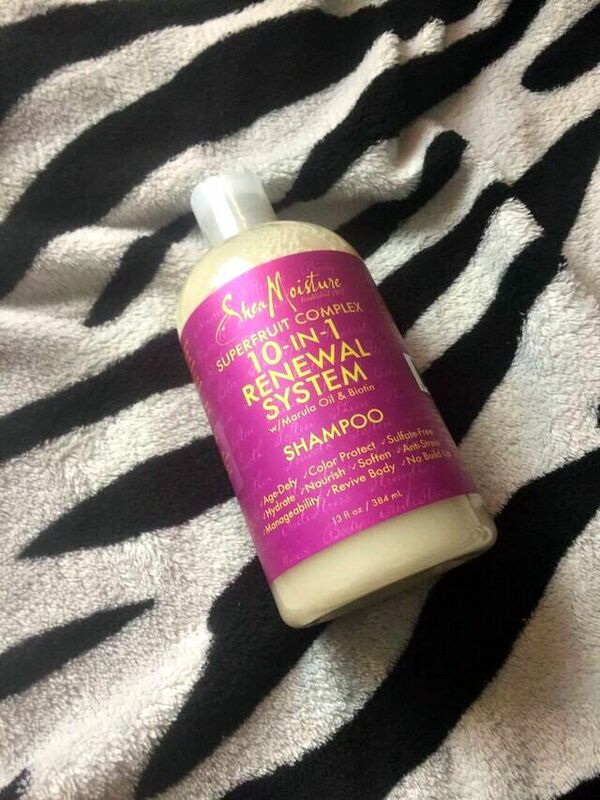 This superfruit complex promotes that its a 10-in- 1 Renewal system that is perfect for those with dry, brittle hair. So basically if you hair needs a lil TLC then this product line is great for you! It’s always a good thing to use products from the same line together to get amazing results. I always get excited when I am able to try out a whole product line, so I definitely appreciate Curlbox for coming through with the whole Superfruit Collecton! This will be a blogpost with no video, so I hope you don’t mind doing a little reading! So enough of the chit chat, lets get into what I think! This product was surprisingly amazing. I really actually loved it! This oil was really light-weight and didn’t leave a super oily residue on my skin. I applied this to my hair before I shampooed as directed on the bottle. This oil was so light and moisturizing that I was able to detangle with this product! 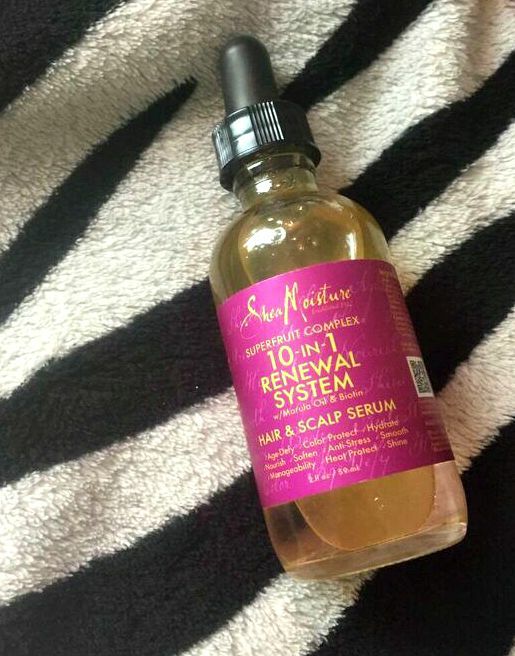 The dropper design made it really easy to apply this to my scalp! I basically just parted my hair in sections and dropped the oil. It was barely any mess, and I really felt the product on my hair and scalp. I would purchase this product again. This shampoo is amazing! It is very clarifying so you definitely don’t need alot of this product. It cleansed my hair very well, and made it feel very clean! Since I don’t use a shampoo often its important that whatever shampoo I use really cleans my hair well. Since I also protective style very often, it’s important to make sure that my hair is clean before I put it back up in my next protective style. I would definitely purchase this product again. 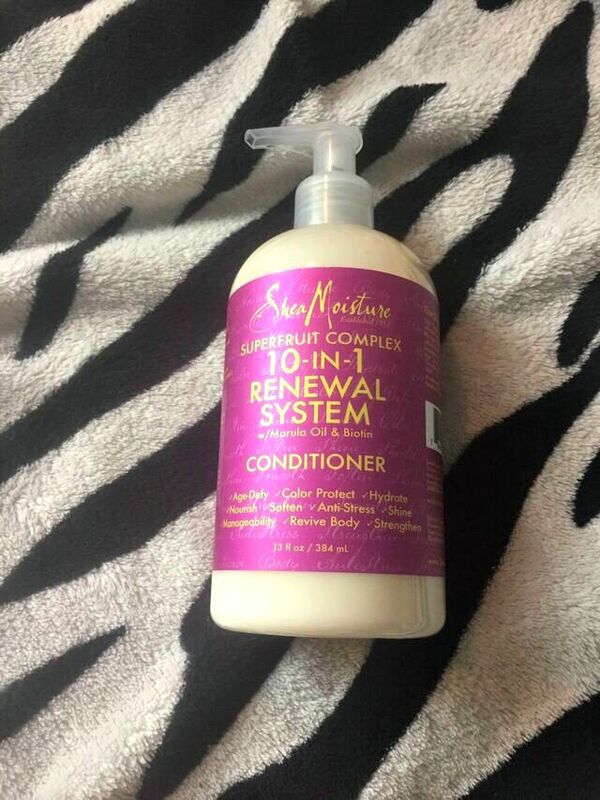 Now this conditioner is life! As soon as I put this bad boy on my hair after I shampooed it was instantly soft! I absolutely loved it! This made my hair very soft to the touch, and gave my hair amazing slip when I went on to detangle. I would absolutely purchase this again! Yall know how I feel about a good conditioner! Ok so this stuff right here is MAGIC! This made my hair feel even more soft then it already was! 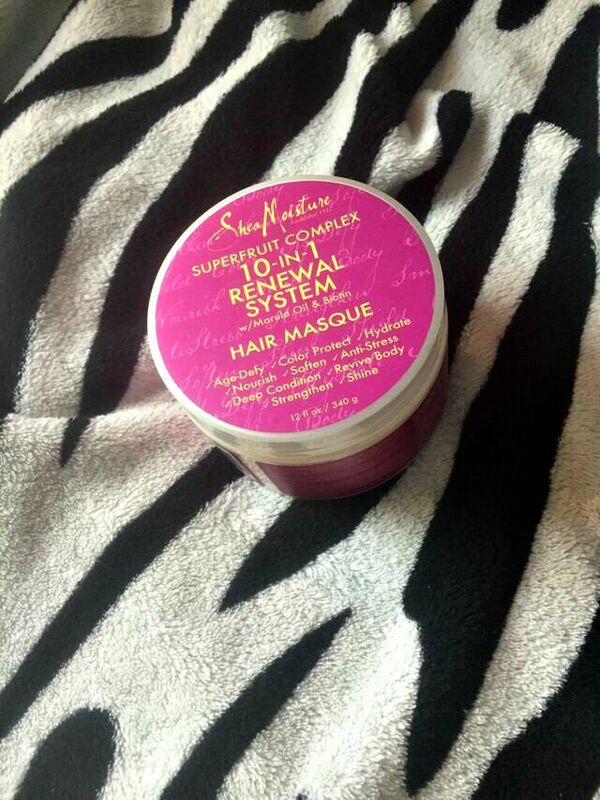 I loved that I followed up with this Hair Masque after I used the conditioner. It was like an added layer of moisture for my hair, and it made my hair feel even better. After the shampoo really cleansed my hair it was important that moisture was added back to my hair. The conditioner and the masque DEFINITELY added that moisture back and then some! I would more than likely buy this product again. It was my favorite product in the Superfruit collection. 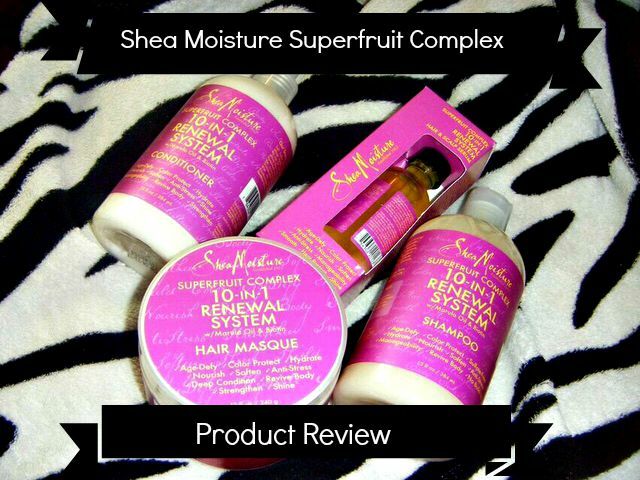 My final verdict on the Shea Moisture Superfruit Complex Collection is a super thumbs up! I loved every single product, and would see myself buying each and every one of them again. They worked so well together and made my hair feel so soft and manageable. I would highly recommend that you natural ladies go out and try this line! You will not be disappointed! So ladies that’s all for today’s blogpost! I hope you enjoyed this product review! Feel free to follow me on any of my social media! I will be announcing very soon about something special that I have been working on, and you don’t want to miss when I announce it! I hope you all have a great rest of your week, and I will meet you guys back here on Monday for another blogpost! So until then ladies I love you lots like tator tots, and I will see you soon!